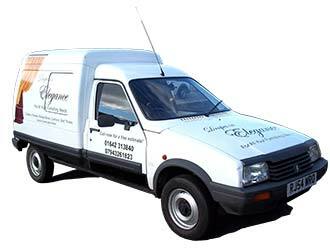 Look out for the Drapes in Elegance van. We are a friendly family run business with over 25 years experience within the soft furnishing industry and fully trained seamstresses. We provide a personal service to both private and commercial customers that is in keeping with the individual style of that particular project. We pride ourselves on our skill and knowledge within the industry and are happy to provide a consultation service free of charge to ensure we meet your needs and provide the best service possible.